San Francisco’s famous row of colorful Victorian houses on Alamo Square has never looked so colorful. These homes could survive an earthquake. They can endure some jiggling because they’re made of JELLO. 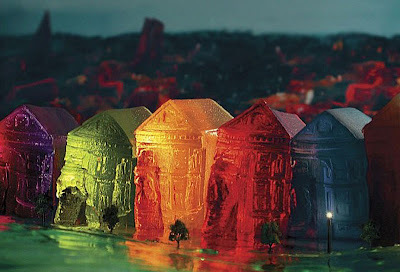 A Francisco-based installation artist, Liz Hickok, recreates famous skylines and landmarks using Jell-O as her construction material. She made miniature gelatinous geographic versions of iconic architecture in New York City, San Francisco, and Washington, D.C. Harvey S. tipped me off to these wiggly wonders. 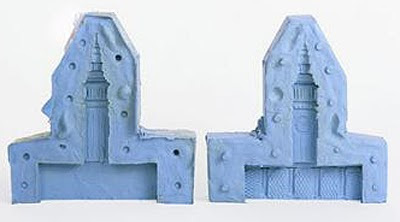 I’ve written before about building-shaped JELLO.